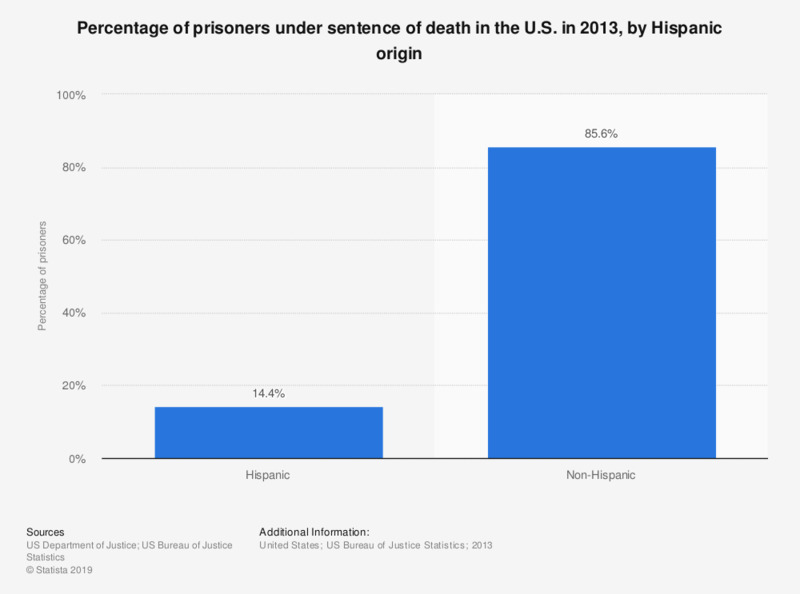 This graph shows the percentage of prisoners under sentence of death in the United States in 2013, by Hispanic origin. Around 14.4 percent of those on the death row were of Hispanic origin as of 2013. The data includes all inmates on the death row up to December 31st, 2013.